Underneath The Stars announces full line-up for the 2018 edition of their music & arts festival on 20 - 22 July 2018 at Cinderhill Farm, Yorkshire. Steve Earle & The Dukes, Kate Rusby, Ukulele Orchestra of Great Britain and Lau among those set to appear. South Yorkshire's stellar music & arts festival Underneath The Stars returns this summer with another exciting line-up of established and emerging talent across the folk, jazz, roots, bluegrass, fusion and Americana music worlds, as well as the promise of enticing workshops, arts, crafts and food stalls, highlighting the creative talents of the Yorkshire region. Organised by the family production team of acclaimed Yorkshire folk singer-songwriter Kate Rusby, and now in its fifth year, 2018’s edition also sees its relocation to a brand-new site at Cinderhill Farm, Cawthorne, near Barnsley, and promises a warm welcome to this beautiful and cozy little corner of rural Yorkshire. 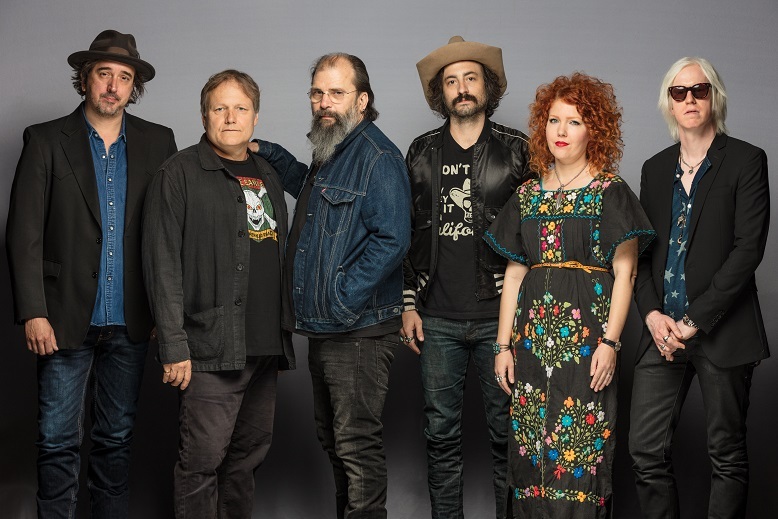 Heading this year’s line-up are Grammy Award winning songwriter and activist Steve Earle with his band The Dukes, as well as Barnsley born and bred Kate Rusby, with her disarming mixture of down to earth charm and otherworldly vocals. George Hinchliffe's Ukulele Orchestra of Great Britain will be presenting their hilarious, virtuosic, twanging, foot-stomping obituary of rock-n-roll and melodious light entertainment featuring only the “bonsai guitar”. Lau - “the most musically adventurous trio in British folk” (The Guardian) – appear too, with their unique explorations of acoustic folk tradition and electronica. Barnsley based best-selling author Joanne Harris, most famous for her novel ‘Chocolat’, will also be presenting a special audio-visual show combining original music, songs and stories with The Storytime Band. Elsewhere The California Feetwarmers provide boisterous on-stage antics to accompany their re-workings of classics from The Blue Ridge Playboys, Scott Joplin, The Memphis Jugband and Emile Grimshaw’s Rag Pickers, and Yves Lambert Trio ­– Yves being one of the most influential and legendary players in Quebec’s traditional roots music scene – fronts a trio playing diatonic button accordions, harmonica, jaw harp, and percussion. Two of the world’s finest instrumentalists Damien O’Kane & Ron Block (Ron being a member of Grammy-winning band Alison Krauss and Union Station, and Damien a stand-out solo artist, member of Kate Rusby’s band and one of the best banjo players in the Irish music scene) perform together in the bluegrass-country tradition. Grace Petrie brings her inimitable takes on life, love and politics, that has won her scores of fans across the alternative, folk, political and comedy scenes. Laura Cortese & The Dance Cards also feature with their superb string playing, Sheffield-based ensemble (featuring BBC Radio 2 Folk Singer of the Year, Nancy Kerr) Melrose Quartet will appear, and The Adventures of Andy Kershaw - a one-man audio-visual show from the legendary broadcaster and foreign correspondent - is sure to be a highlight. Scottish collective Fat Suit mix the worlds of jazz, funk and soul, Honeyfeet offer a righteous blast of energy once called Folk-Hop and Barrelhouse-pop, Estebel are a rare line-up of two nightingales from Estonia and two Flemish brothers from Belgium, and John Metcalfe - one the most exciting and versatile musicians and sought-after arrangers and composers in the UK, having worked with Morrissey, Coldplay, Bat For Lashes, Blur, George Michael, Johnny Marr and Tom Jones – features in what will be an incredibly compelling performance. Midnight Skyracer provide some driving bluegrass, Amythyst Kiah brings her self-described Southern-Gothic alt-country all the way from Johnson City, Tennessee, and there will be folk music from acclaimed young English folk singer and multi-instrumentalist Jack Rutter. Also here is award winning interpreter of Scottish folk and song, Lori Watson, whose recent album was awarded album of the month in The Guardian. 20-year-old Welsh speaker with Bajan heritage (fusing bilingual soul-folk jazz) Kizzy Crawford is sure to be captivating, as is English singer-songwriter Jack Harris. Howlin’ Ric & The Rocketeers bring original Rock & Roll and Rhythm & Blues with a classic sound, Stables – a new alt-folk duo comprising Matthew Lowe lead singer of Keston Cobblers Club and Daniel Trenholme – will be one to see, as will the unique voice of internationally-tipped, Amsterdam-born folk-pop musician Pitou. Hearts at War – featuring the incredible vocal talents of Rosie Doonan, Louise Hull and Megan Barber follow, and the Barnsley Youth Choir return after a triumphant set at last year’s event. L-R meld heart wrenching songs and dance of the Asturian countryside with the bluesy grit of the Gretsch guitar. In addition to two towering big-top music venues (the mainstage is fully seated, with an “attentive concert hall” ambience, stage two is a standing venue for a more boisterous atmosphere) the festival site features lively street-arts performers, workshop activities, handmade crafts and vintage stalls as well as boutique street food vendors and bar areas. A brand-new Makers Market is also introduced this year which prioritises fair and ethical trading, environmental sustainability, value for money to customers, creativity and innovation. 2018’s food vendors have all been hand-picked for their creativity, quality ingredients and value for money, as has the range of local real ales, ciders, wines and spirits available at The Festival Bar. A great deal of attention has also been put into guest comfort, with provisions for a high level of accessibility for those with disabilities, and even a pre-pitched luxury camping option available to weekend ticket holders. Underneath The Stars operates a 'Leave No Trace' policy and is continually working to develop their solutions to transport, energy, purchasing and waste.